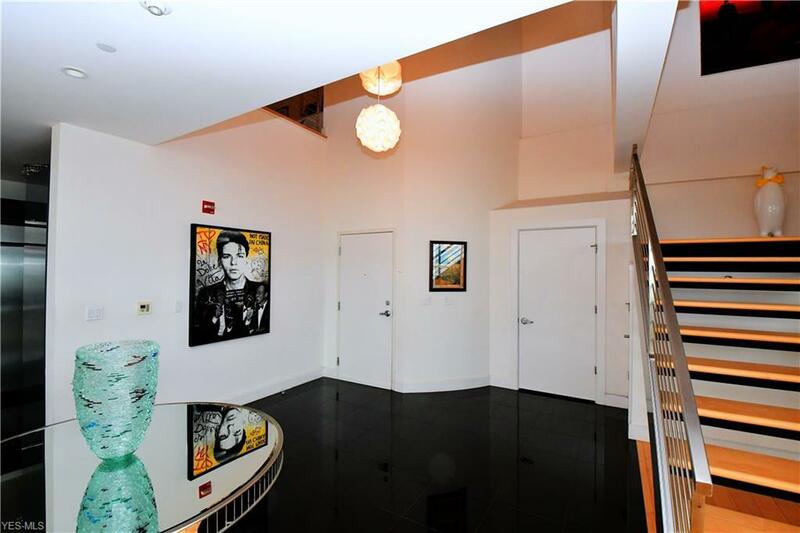 This stunning two story penthouse will absolutely take your breath away!!! 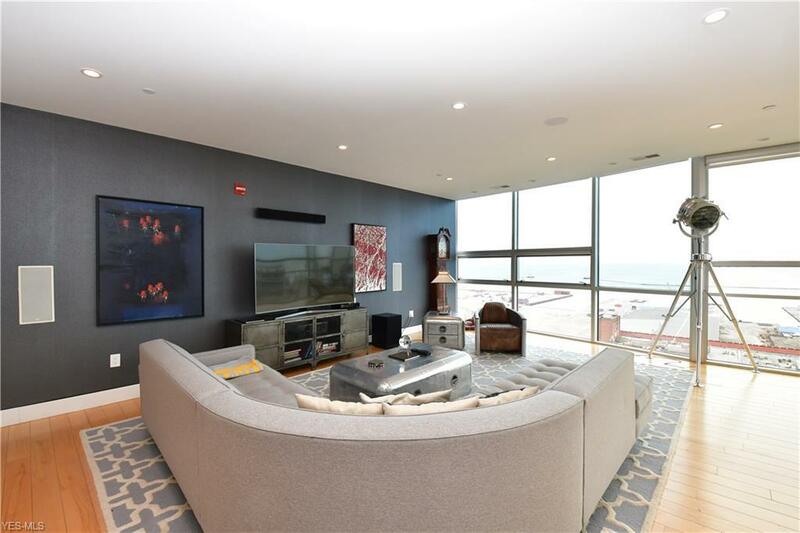 Located in the heart of downtown Cleveland, with the most extraordinary views of the skyline and Lake Erie, this unit has every luxury and amenity imaginable! As you enter the front foyer, you will immediately be drawn to the two story walls of windows, exquisite professional dcor, and the dramatic open staircase! 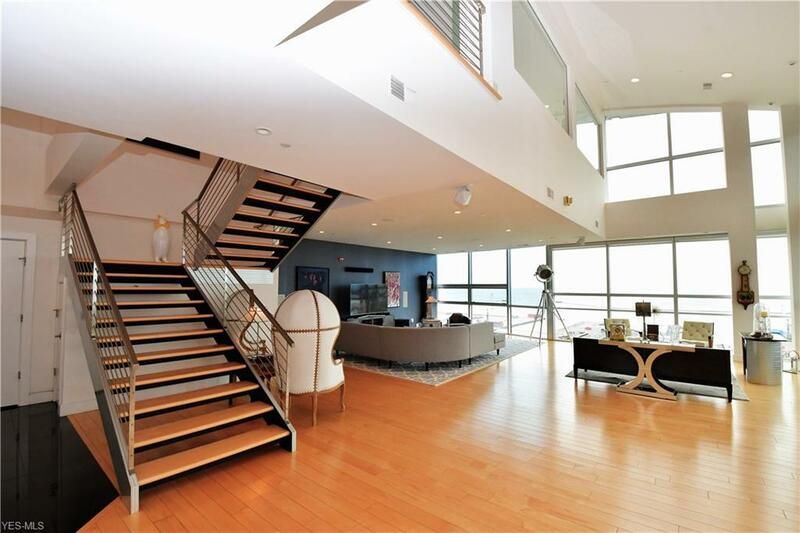 Entertain in the most incredible Great Room which features multiple seating areas, hardwood floors, a fabulous floating bar area, and fireplace! The kitchen is a chef's dream offering every imaginable amenity including granite counter tops, stainless steel appliances, and fabulous European styled cabinetry! The first floor owners suite is beyond compare offering custom walk in dressing rooms, dual baths which include steam showers, and extraordinary views from the east facing bedroom! The second floor is highlighted by an open loft area which features a custom steel railing, two bedroom suites each with their own bath, and those splendid views! Additional highlights include an in suite laundry room with a second entrance, sound system throughout, and private outdoor terrace! 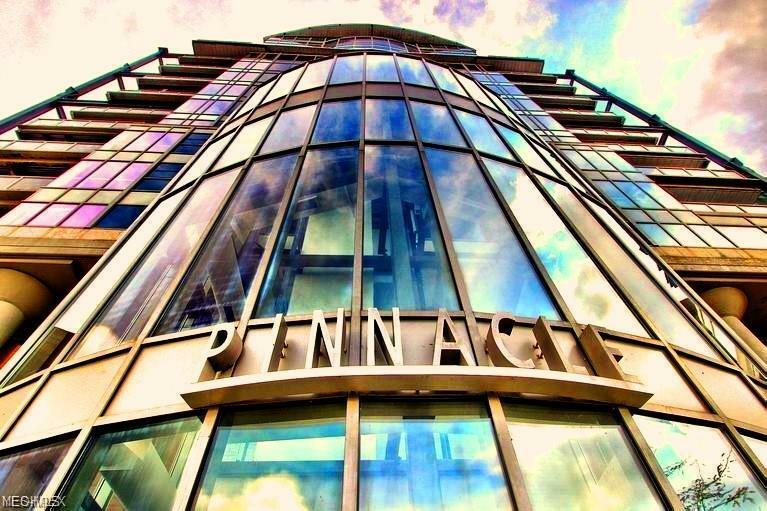 The Pinnacle is Cleveland's premier luxury building offering 24 hr. concierge service, a covered indoor garage(2 spaces), fitness center, outdoor entertaining space, and so much more! Enjoy a level of luxury second to none and a lifestyle that is truly unequalled! This two story corner penthouse is simply breathtaking! Listing information © 2019 NEOHREX Multiple Listing Service. All rights reserved. The data relating to real estate for sale on this website comes in part from the Internet Data Exchange program of NEOHREX. Real estate listings held by brokerage firms other than Howard Hanna are marked with the Internet Data Exchange logo and detailed information about them includes the name of the listing broker(s). Information Deemed Reliable But Not Guaranteed. The photos may be altered, edited, enhanced or virtually staged. Data last updated 2019-04-24T11:07:36.907.